Dementia is an umbrella term for a decline in different mental abilities and memory functions for aged people. It leads to a reduction in intellectual performance and impairment of functioning in everyday and social life. It is diagnosed if at least two of the following symptoms are present in a person. The most common symptom of dementia is memory deficits, especially short-term memory issues. People with dementia find it difficult to remember activities and facts that took place a week, a day, or even a few hours earlier. Despite being unable to recall recent events, people suffering from dementia have a perfectly preserved memory of past events that took place years ago. These can be memories from the period of youth or even childhood, historical facts or details of an old profession. Minor memory deficits are common in every elderly person. They are associated with gradually deteriorating brain changes. Anxiety can lead to situations in which the patient finds it difficult to remember events from a few hours ago and also gets their functioning impaired. The person can also become confused about time and space, making it impossible to perform every day activities, such as cooking or shopping. A dementia patient also reduces contact with people from the outside and may not even recognize relatives. Dementia can lead to other psychological disorders for the patient where they find it difficult to communicate with people or lose the ability to focus. These symptoms, combined with memory loss, help form a clearer picture of dementia in people. Patients can also suffer from emotional issues, such as mood swings, unsteadiness and high irritability. These emotions often come out in fits of anger and aggression or extreme apathy or disdain for others. Dementia is a common disease for the elderly. It is not surprising that other mental disorders and problems are often mistaken for a case of dementia. Depression, for example, has similar symptoms to dementia and is often mistaken for it. Chronic depression is usually manifested in a typical way like appetite or sleep disorders or suicidal attempts by the patient. It is often expressed through mood decline, anxiety, apathy, mental retardation and somatization or chronic pain of unknown cause. While dementia has no cure, a case of depression can be alleviated by treating the underlying causes for it. Due to incorrect diagnosis, many patients risk losing a chance to cure potentially reversible disorders that only imitate senile dementia. It is best to get the patient checked by a medical professional before signing up with a live-in home care provider. Dementia usually progresses slowly in patients. Rapidly increasing dementia may suggest changes in the central nervous system, such as hematoma, stroke or bacterial or viral brain diseases. Before diagnosing dementia, it is important to rule out systemic metabolic diseases, such as hypothyroidism, anemia, or deficiency in the copper absorption. While these disorders may have similar symptoms to dementia, they are far more serious in terms of bodily function degradation. Medicine has progressed significantly in recent decades and it may be possible to slow down the deterioration caused by dementia. However, we still cannot reverse the effects of existing dementia in patients. There are medicines in the pharmaceutical market today that can slow down the progress of disease or even stop it. Unfortunately, it is not possible to reverse the lost memory functions for patients. Carers for elderly dementia patients must strictly observe their pharmacological needs. There are also a number of natural methods that promise great effectiveness in improving the patient’s condition. 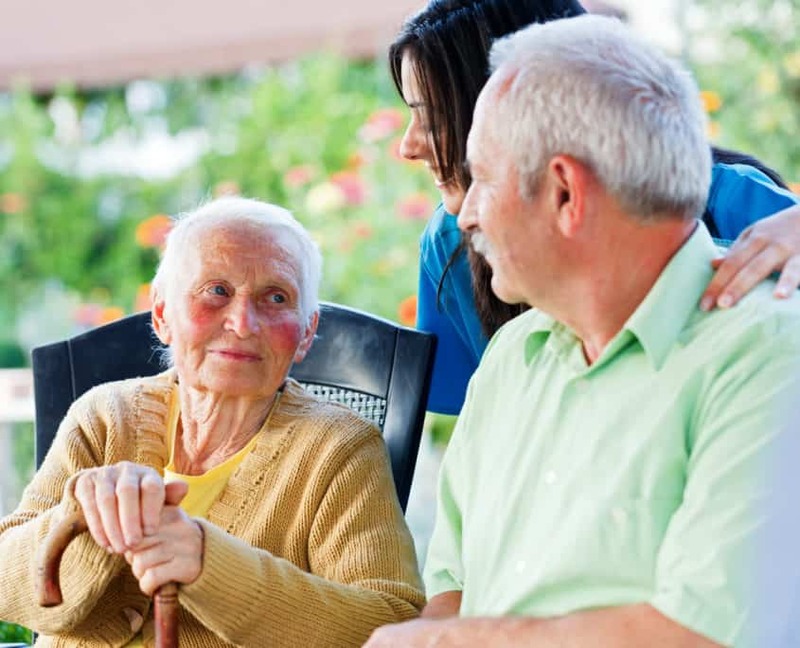 Caring for a person with senile dementia involves ensuring that their household is stable and that the most comfortable living conditions are provided for the client. A daily, planned schedule of the patient is helpful. Permanent housing conditions and the presence of familiar people in their home allow the senior to develop a kind of mental balance. For clients suffering from memory disorders, it is important to get receipts and items signed and keep useful items in cabinets or drawers so that the patient can find the things they need. Emergency and first aid tools should also be kept in easily accessible places so that the caregivers can provide assistance. These precautionary steps can help the carer avoid rushing about or hurrying the patient. Any communication with the patient should be adjusted to their ability. This involves the use of simple sentences. The carer may also have to repeat what they are saying and remind the patient about their daily activities many times. It is a good idea to allow the patient to perform tasks as long as possible without breaking their concentration even if they are slower and less accurate than the carer. Daily memory games play an important role in maintaining the mental capacity of the client. These include counting, verbal games, reading newspapers or books, solving crosswords and discussing current affairs. Every activity that gives pleasure to the patient and stimulates their thought processes is recommended. Intellectual exercises also include daily movement and stimulation of other senses of the client. Listening to music, tying out their favourite dishes and testing well-known fragrances with the client can help. A comprehensive care of dementia patients with such activities can significantly delay the onset of deeper dementia while improving their quality of life as well. Dementia is associated with a general decline in cognitive skills to such an extent that it prevents the person from living independently. The person suffers from significant memory problems and an inability to recognize others. In addition to memory problems, dementia also weakens language skills, communication skills, perception, judgement and reasoning. The disease may be reversible or irreversible. In the first case, it is usually characterized by a sharp start and can be stopped by appropriate treatment. The second type of dementia takes place through prolonged development and no medicine has been found to cure it, although its symptoms can be managed. Development of daily routine and regular activities for patients. The daily plan should be aimed at eliminating the distracting and worrying elements from the environment. Establishing a clear way of communicating with the dementia patient. The carer has to pay attention to the tone and language of the body and clearly express thoughts while avoiding abstract words and metaphors that confuse the patient. Providing the patient possible answers to choose from during communication. For instance, if you give patients a clear answer to choose from, like options a, b, c or d in a given situation, the patient will find selecting one to be easier than thinking independently. Observing the patient. Their body language will help in understanding the message they are trying to communicate in case, they cannot express their thoughts in a clear way. Patience is very important when dealing with dementia patients. Constantly prompting or guessing the words that the patient wants to say can lead to their frustration. It is worthwhile to wait patiently until they say things themselves, unless they ask for help. Using objects of reference while communicating should improve your understanding of the patient. The carer should try to make the environment more patient-friendly. A digital clock instead of a standard one, a calendar in which you can clearly draw a date or placing pictures of relatives and friends in line of sight are small changes. However, these minor changes can greatly improve the patient’s daily functioning. Time spent with the patient reminiscing old memories can do wonders. The long-term memory usually works well for dementia patients, so it is recommended to bring back nice memories from their past; favourite songs or books (even in the form of audio books) can help patients relax. Encouraging the patient to play simple games can make them happy. These include board game or even video games if you are dealing with a person familiar with newer technologies. Games offer a good way to stimulate the brain and help spend time pleasantly.